Birkner, Michael J. The General, the Secretary, and the President: An Episode in the Presidential Campaign of 1828. Tennessee Historical Quarterly 42 (Fall 1983): 243-53. ___. Samuel L. Southard: Jeffersonian Whig. Rutherford, NJ: Fairleigh Dickinson University Press, 1984. 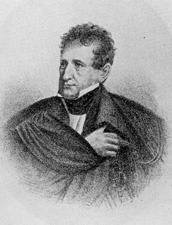 Ershkowitz, Herbert. Samuel L. Southard: A Case Study of Whig Leadership in the Age of Jackson. New Jersey History 88 (Spring 1970): 5-24.